I have thumb-printed your last volume. around each other. I shiver as they bind. a prophet’s bloody one-eyed censure. Release me from their charge? You will not. cupping reflections of untainted beauty. where all that we expected was late stubborn grief. 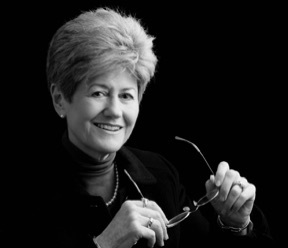 Diana Bridge has published five books of poetry with Auckland University Press. She was presented with the Lauris Edmond Memorial Award for Poetry in 2010, for her distinguished contribution to New Zealand Poetry. Her essay “An attachment to China” won the Landfall Essay Competition for 2014. She has a PhD in Chinese classical poetry from the Australian National University, has studied and researched Chinese language, literature and art history and early Indian art history, and is the first foreigner to have taught in the Chinese department at Hong Kong University. In 2015 she was invited to take up a residency at the Writers' and Artists' Colony at Yaddo in upstate New York, the first New Zealander since Janet Frame to go there. 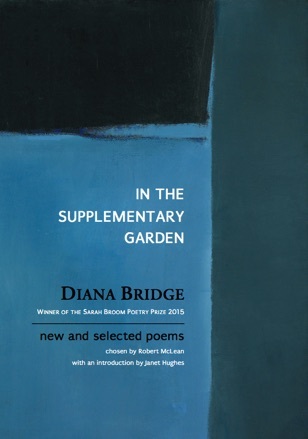 IN THE SUPPLEMENTARY GARDEN is a generous harvest from Bridge’s five previous books of poetry. It includes a number of the lyric sequences at which she especially excels, along with 23 new poems.